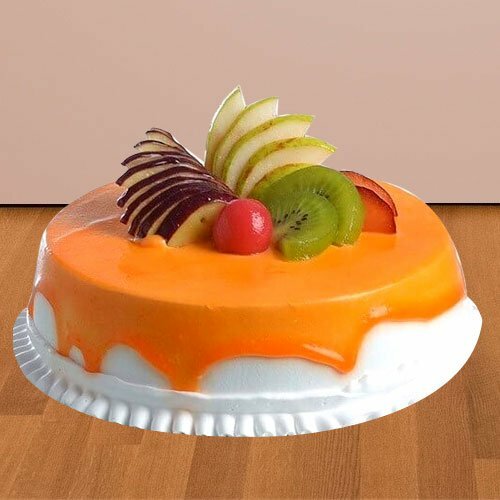 Send this amazing gift of Soft-Textured 1/2 Kg Fresh Fruit Cake to your loved ones on their special celebration. Order for this delicious treat of Attention-Getting 1 Kg Fresh Fruit Cake for that special someone you adore the most. Make the mouths of your guest invited to your special party sing for more after having the first bite of this Confectionery Bliss 1 Kg Eggless Fresh Fruit Cake.